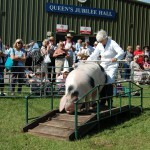 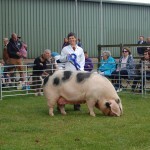 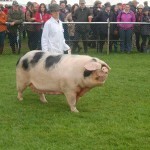 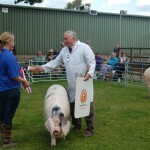 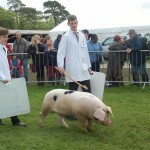 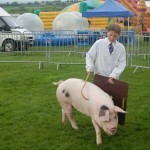 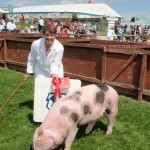 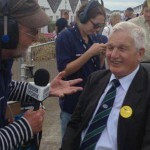 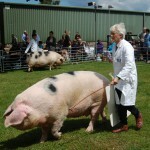 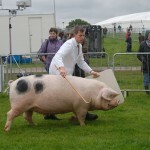 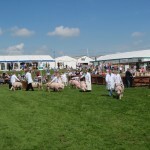 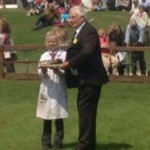 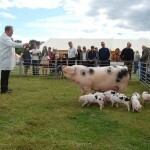 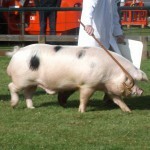 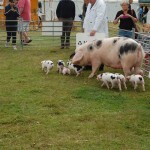 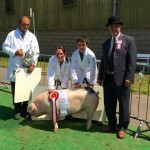 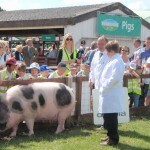 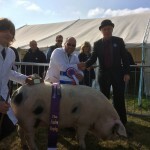 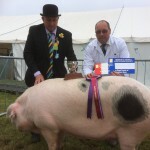 This years GOS Champion of Champions, crowned at the Royal Three Counties Show. 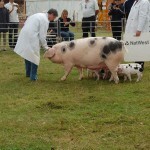 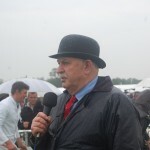 John and Helen Lightfoots’ gilt with Judge Guy Kiddy. 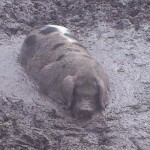 When the weathers hot, you just gotta wallow. 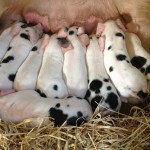 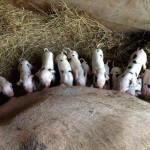 Little Orchard’s photo – Running out of room at the bar! 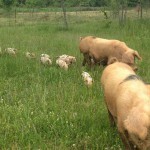 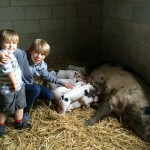 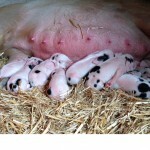 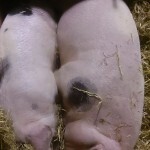 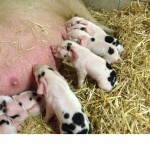 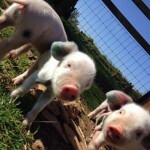 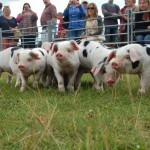 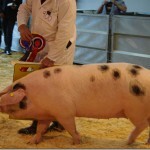 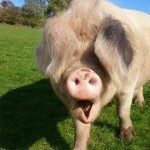 Le Logis – rare breed pigs in France’s photo. 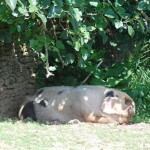 Making sure “Peggy” one of our Gloucestershire Old Spots is getting the best pre natal care – wallow in the shade under a fig tree – she is due to farrow in 10 days time.